In addition to Kickapoo Coffee, we feature very select roasters throughout the year. To be in the immediate know of the who and when, join us on Twitter, friend us on Facebook or follow Ben’s Blog. You’ve been wandering in and out of coffee shops in search of this extraordinarily delectable brew, only to be foiled by imitators and pretenders. Well fret no more. 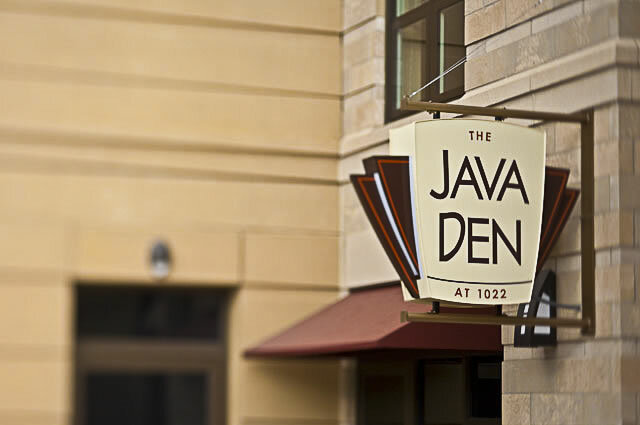 Java Den is the exclusive purveyor of Kickapoo Coffee on the UW campus. Just us. Just for you. Say hallelujah to your jones killa. If you have not experienced this delicious and delightful roast, you can correct that shame by stopping by for a cup. 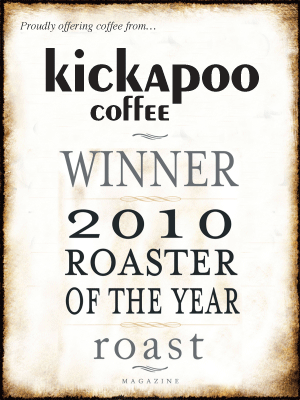 To learn more about this organic, fair trade, perfected roast and the artisans who make it so, visit our friends at Kickapoo Coffee.